An ultimate beach holiday adventure wouldn’t be complete without exploring the waters that surround it. Some of the best snorkelling and diving destinations in the world are located in places such as Indonesia, the Philippines, and Thailand in Asia, Micronesia in the South Pacific, Galapagos Island, Ecuador in South America, the Great Barrier Reef in Australia, and Hawaii and Mexico in North America. As with any other travel activity, scuba diving and snorkelling also has its risks and its always a sound idea to get adventure activities travel insurance that covers whatever you’re planning to try on your next beach holiday. Some of the most common injuries that snorkelers and scuba divers encounter are from sea creatures. While most of them don’t pose a danger, travellers should be warned that there are some species that could be very harmful. 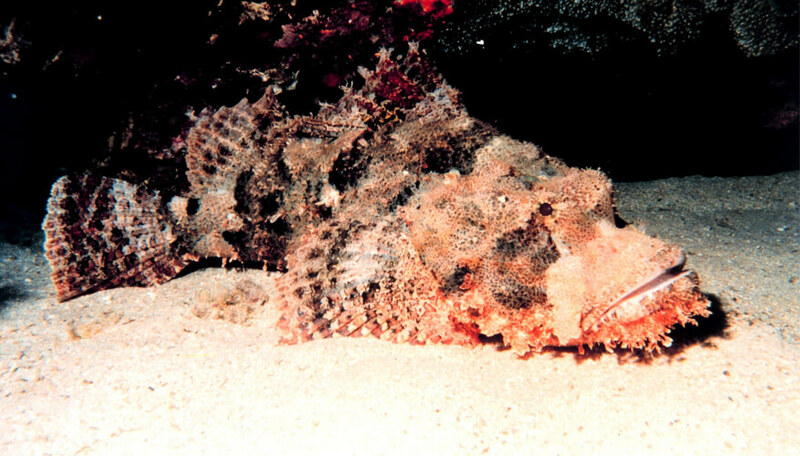 Stonefish are among the worlds’ most venomous fish and are especially dangerous because they hide amongst rocks and corals, and blend perfectly with their surroundings. Its poisonous spikes, if you tread on them, can result in venom spreading through your body resulting in paralysis and even death. This stinging anemone can be found in tropical waters, and is not easily spotted because its blue-grey to light brown colour makes it look like a dead twig. They are usually found on rocks and corals and have strong toxic substances that can cause severe effects on humans depending on the anemone. These can range from severe bleeding, vomiting, chest pain, shock, swelling around sting area and difficulty breathing. One of the deadliest sea creatures is the delicate and beautiful box jellyfish. They frequent beaches and shallow waters, so they can potentially harm humans. What makes them especially tricky is that they are almost invisible in the water. However, they are slow moving, so are easy to avoid once you spot them. 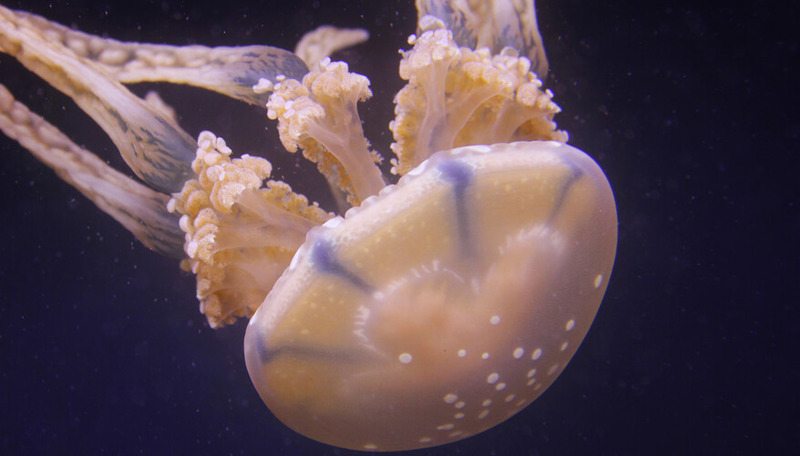 Their tentacles have up to 5 million stinging cells. If you brush against their tentacles, or are stung, the venom is extremely painful and potent, and can cause sudden death. It attacks the heart and the central nervous system. This kind of starfish has sharp spines all over its body and it has a thin skin that is venomous. If you are exposed to the skin or the spikes get embedded into your skin, it could cause nausea and vomiting. Cone snails are very colourful shell creatures. Because they are so attractive, people have a tendency to pick them up. 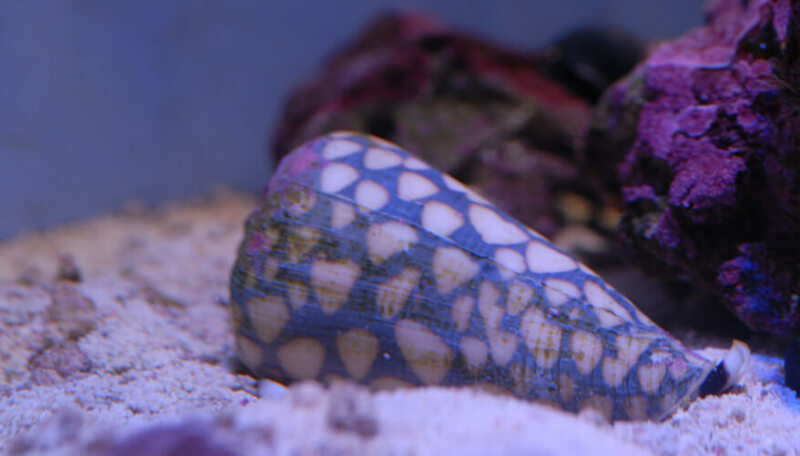 Although they look like ordinary seashells, the Cone Snail uses its harpoon-shaped teeth to sting with a deadly poison which currently has no anti-venom. Sting effects include numbness to breathing failure. This toxin is capable of killing humans. This seemingly-harmless creature that lives in sheltered rock pools and crevices is small and colourful, but it has a toxin spread all over its body called tetrodotoxin which causes paralysis. When disturbed, the blue rings become very bright, and it bites when provoked. 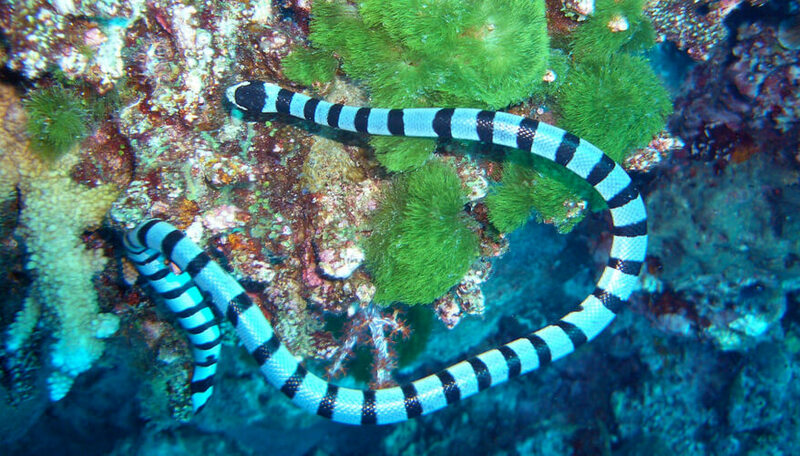 Most sea snakes shy away from people, but when bitten, their venom is more toxic than that of land snakes. 30 minutes after a sea snake bite, the victim feels stiffness, muscle aches, and intense pain. It also causes blurred vision and drowsiness. Sharks are one of the most feared sea creatures on the planet. Though they are not known to attack humans, they can sometimes attack divers wearing black wetsuits or surfers on a board, who they have most likely mistaken as prey. Sharks also attack humans when they have been agitated, or provoked. Shark species known to attack humans include The Great White Shark, Tiger Shark, and The Bull Shark. Shark attacks can be fatal if the severity of the attack causes severe bleeding and shock. 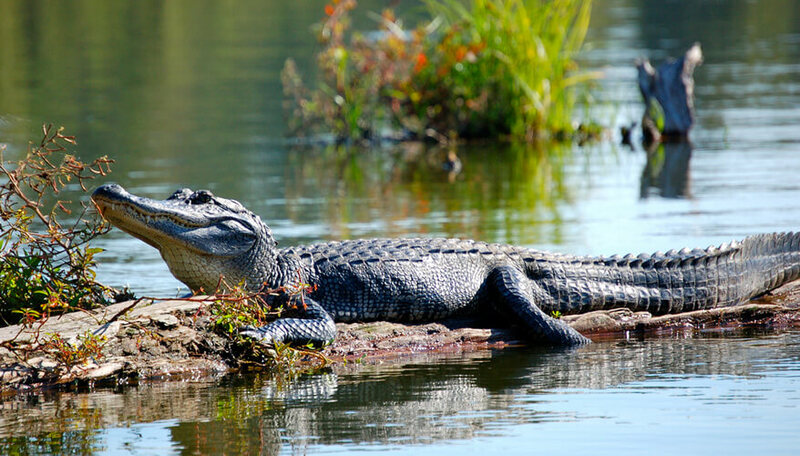 While alligators can only be found on the Gulf Coast – usually in pools, rivers, and bayous, there have incidents where alligators have found their way to beaches or swimming pools. An alligator bite can be deadly because of their notoriously strong jaws, which clamps on hard and won’t let go. Alligators rarely attack or kill humans, however, American alligators are some of the most aggressive species in the world, and have been known to launch unprovoked attacks on humans. Sting rays are less aggressive creatures, but once stung, they cause pain, swelling, and muscle cramps. If left untreated, a sting ray sting can cause serious injury, even death. Sting rays usually steer clear at the sight of humans and will only use its stingers when agitated, or stepped on. Read about possible risks and dangers in your chosen travel destination prior to taking a trip by reviewing the FCO Travel Aware website. They provide current advice and safety tips and it could invalidate your travel insurance if you go against their advice. Always obtain travel insurance that covers any activities you are planning to try and the gadgets you may take with you. Enjoy your trip and stay safe!